Arkansas Prosecutors Drop Murder Case That Hinged On Evidence From Amazon Echo : The Two-Way The government had charged James Bates with murder and sought recordings made by his personal assistant device. But the evidence ultimately was deemed to support more than one reasonable explanation. An Amazon Echo, circa 2015, perched on a table beside a lamp. Not pictured: the actual Amazon Echo referenced in the case against James Bates. The move marks a curious end to a still more curious case, which had revolved around the role played by a personal assistant device that's supposed to begin recording as soon as someone says its wake word — "Alexa," in this case — in its presence. "What we know from court documents is that in November 2015, a man in Arkansas had some friends over at his house to watch a football game and in the morning, one of the friends was found dead in a hot tub in the backyard. Police later charged the man who lived in the house, James Bates, with murder. He has pleaded not guilty. 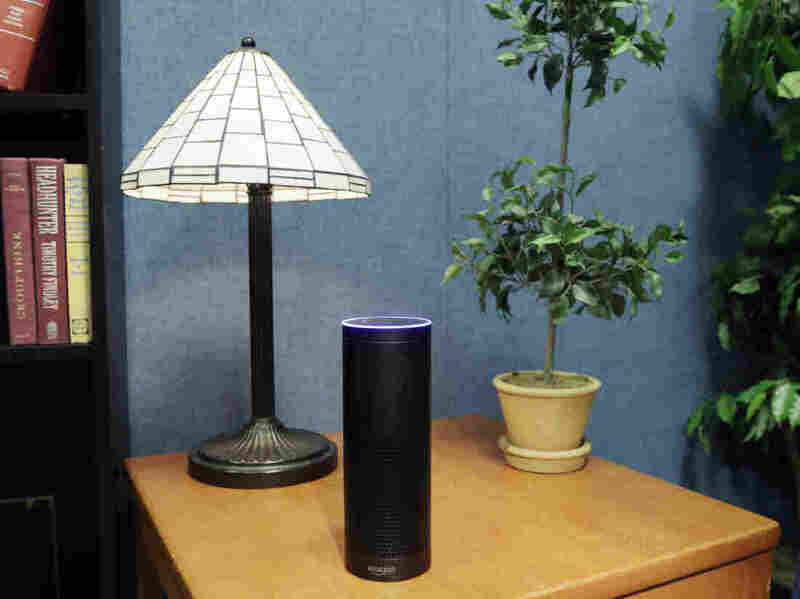 "As the police were investigating the crime, they found a number of digital devices in the suspect's house, including an Amazon Echo device that was in the kitchen. They have since seized the device and have apparently gotten some information from it, but what they want to check is what — if anything — the device may have recorded around the time of the murder." At the time of Victor Collins' death, the Echo had been out on the market in the U.S. for only several months, and the search warrant issued for the device's recordings prompted some fears that the new technology was opening another battlefield over personal privacy protections. While Amazon initially declined to share data from its servers — noting the company "will not release customer information without a valid and binding legal demand properly served on us" — The Associated Press reports the company eventually "relented after Bates said he didn't mind if the technology giant shared the information." And Alina noted the Echo wasn't the only smart device investigators cited in their case. As it turns out, they also used "information from a smart water meter, alleging that an increase in water use in the middle of the night suggests a possible cleanup around the crime scene." Still, it appears the case ultimately came to little — so little, at least, that prosecutors decided it should go no further.